Bokashi composting: Review from a self-confessed garden fanatic! This post was sent by Lucy M Clark founder of Garden Ambition; a gardening blog with information on everything gardening! Putting food waste in a large container or simply burying them in an open hole in the ground will cause the waste to rot and produce bad smells. Such odors attract insects and pests. I found that using the bokashi bucket with its comes with a tightly fitted lid, prevents strong odors and does not attract insects. Other forms of composting need complicated and lengthy processes to be successful. You have to choose the best mix of green and brown waste, conduct proper aeration and add the right amount of moisture. However, when it comes to bokashi composting, the procedure is rather simple. You only have to add a suitable microbe mix (bokashi bran) and wait for the process of fermentation to take place. Garden worms are important for any garden compost! Is the soil in your garden full of earthworms and other micro-organisms? If not, then using bokashi will help. I have found that once you bury your bokashi pre-compost it improves the structure of the soil. It helps the soil retain more water and reduces plant diseases. Why so? Well, this is thanks to the millions of beneficial micro-organisms produced during the bokashi process. 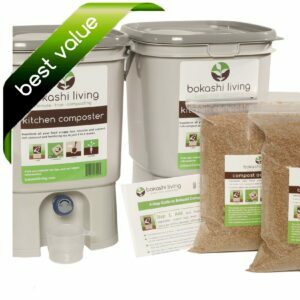 There is an initial cost of buying suitable bokashi composters and a (small) ongoing cost of buying bokashi bran. However, I have made many savings in my garden since using bokashi composting as I no longer need to buy fertilizers and pesticides. My plants are stronger and my garden looks amazing. Bokashi composting can be a learning process. Here are the few things I learned while doing it. Since it is an anaerobic process, the bin must be free from oxygen as much as possible. When you are compressing the bokashi bran into your food waste, press it really flat. This is to eliminate as many air pockets as possible. Remember to draw liquid from the bin. This helps maintain the environment where the bacteria thrive on. Though bokashi composting does not smell like a field of flowers, it should not smell like decay either. It typically has a pickle-y, yeasty odor. If you do notice something like this happening, it means that something has gone wrong. However, do not lose all hope! Learn more about troubleshooting your bokashi bucket. After two weeks, when the bokashi mixture can be buried, this does not entirely mean that the process is already “done.” The mixture should not be touched after two weeks when it is a “pre-compost” as it is quite acidic. Only after a month, when the mixture is fully incorporated into the soil. I love bokashi composting in my garden and I would recommend other people to try it too. 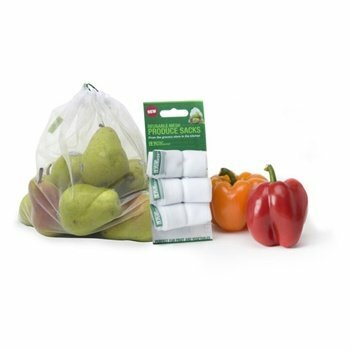 It may be one of the best fertilizers for your tomatoes, garlic or any other fruit or vegetable. What’s best to put in your bokashi bucket?